We have 17 well-appointed Clean & well lit room on the Ground and First Floors. 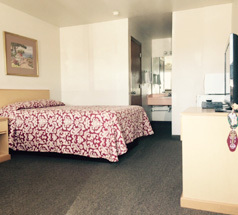 All rooms include comfortable beds with Clean sheets and Pillows. For our Smoking and Pet Friendly Guests we have One single (Smoking / Pet Friendly room ) and One Double Bed (Smoking / Pet Friendly) Room.All rooms have wireless internet facility with a refregator, microwave and Tv with HBO. 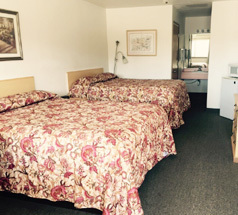 We have a accessible Room on the First Floor with easy access to the parking Lot and with wider door openings to the washroom and exit for easy maneuverability. Price $65.00 to $75.00 PlusTax. Price $76.00 to $90.00 Plus Tax.